At the beginning of the month I shared my plan for July with you, a new series devoted to main dish recipes. 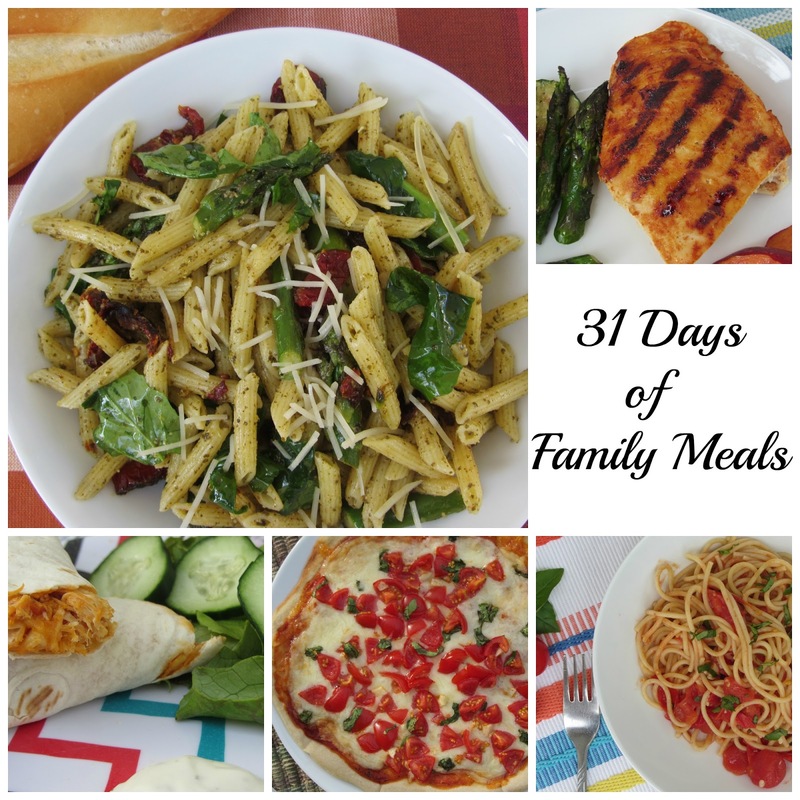 One whole month of nothing but family friendly meals! Are you just as excited as I am? This will be the second year I blog the whole month of July based around a theme. Last year it was freezer cooking. It was a ton of fun, you can check it out here. So what can you expect to see? Good question! Lots of insanely delicious food for sure. I plan to provide a variety of dishes. Everything from getting your grill on, simple slow cooker, meatless mains, breakfast for dinner, delicious sandwiches/wraps, stove top, and even make ahead dishes. I love all the fresh produce in abundance during this time of year. Most of these meals will incorporate such items. There will also be plenty of super simple dishes, ones where you're not slaving over the stove in a hot kitchen. Because really, we all have better things we could be doing with our time. So get your menu planner ready! Beginning next Wednesday we're going to have a great time. Feel free to let me know anything specific you'd like to see featured and I'll try hard to work it in!